I started trying this one out January of 2016, a recent forum post reminded me to go back to a bottle that's been steeping a few months. 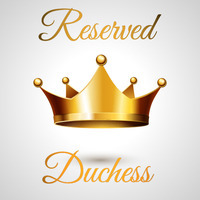 It's not 100% "duchess reserve" yet but it's on it's way & really damn close. I added the butter pecan & meringue after a suggestion from Mike Peifer (MrColdOne), so he deserves some of the credit for bringing this recipe even closer to completion. TFA Vanilla Custard also works well here at 4% instead of the cappella. This is optional, since people are enjoying the current version, any further changes will be published as a new recipe. This one really needs a good steep to come together. This recipe is the property of method1 and released under the CC Attribution-NonCommercial-NoDerivatives 4.0 license. You may not copy, derive or commercialize this recipe without following the terms of this license or the explicit permission of the creator. I knew it would be a good one when I saw the flavor list - I enjoy all these flavors individually, what more in a mix right? Haven't tried the original, but after I dripped this a couple of times to test it out it went straight into a squonker. A touch high on the sweetener at first glance but it works great in this recipe with just a slightly noticeable amount of gunking. 60mL's gone in just a few days coming off the steep, definitely keeping this in my rotation. Keep forgetting to give this a review. This is outstanding and really close to the profile. Well done! Mixed this up. I went and bought an original just to try it out side by side as well. I agree...its not EXACT, but its so close its not even funny. This mix is amazing. Good job. I have realized that trying this after a two week steep, I should have mixed more than 60mls. this recipe is wonderfully layered, rich and complex and has renewed my interest in rich creamy vapes. The tres leches, butterscotch and hazelnut and balanced very well, that sort of reminds me of the toppings on an ice cream sunday, without the ice cream. Very good work Joel! I mixed up 100 mos of this just because it looked so good and requires such a long steep time. Vaped a little right after mixing and it was very tasty. I can only imagine how much better it will get with time. I've never tasted DR and don't plan on buying any for comparison. Why do that when this is so delicious. Reason number 318 why I LOVE DIY....brilliant!